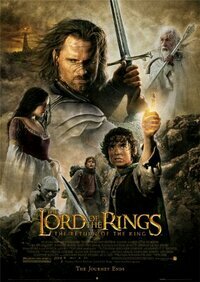 The Return of the King is the third and final film in the Lord of the Ring's trilogy, based on the popular novels by J.R.R. Tolkien. The final battle for Middle-earth begins as Frodo and Sam, led by Gollum, continue their dangerous mission toward the fires of Mount Doom in order to destroy the One Ring.